At Swimtastic, our goal is to teach swimming in a positive, safe and loving environment. We recognize that each child is an individual with different emotional and developmental abilities and we cater each lesson to those needs. In addition to teaching the life-skill of swimming, we strive to develop each child's self-esteem, confidence and love for the water- because creating a happy swimmer is a gift that lasts a lifetime. *Actual monthly bill is based on lessons provided each month. The average monthly price listed is based on 4 classes per month (or a four week month). The monthly billing amount will vary based on the actual number of classes provided in the calendar month. Toddler Transition and ParentTot classes pricing varies. Call us for more information at (402)493-7946. Looking for the perfect place to throw your child's Birthday Party? You've come to the right place. Swimtastic offers a variety of birthday party packages featuring our party room and private swimming pool just for you. Our indoor pool is heated to a warm 90 degrees and fully equipped with Swimtastic's signature water slide, specifically designed to be the best birthday party of the year! Hand-select current openings & reserve your birthday party in real-time! As a sample of our parent-child swim lessons, we offer a FREE Infant Clinic specifically created for for families with infants and toddlers ages 6 months to 2 years old. 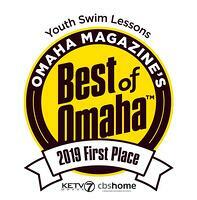 If you're interested in our Swim Baby or Swimtastic Swim Baby parent-child learn to swim classes, this is the perfect way to experience our warm 90° water and kid-friendly Nebraska facility. Wondering where we are located? Check us out on the map! Join the Swimtastic Team! Check out our employment page for current opportunities. Come Join Us for Spring Semester, starting March 4th! Classes run 25 - 30 minutes, once per week. Virtual Tour- Get An Inside Look! and operated by L2S, LLC. FREE clinic offered for families interested in classes for children up to 2 years old. This clinic is a FREE trial class and also gives information on our program. We will also teach the proper holds and how to make learning and swimming fun for the whole family. Call to reserve your spot for this FREE clinic! Stroke Clinics are designed for students that want an extra advantage in their swim skills. These clinics involve specialized drills, exercises and coaching for each stroke. Sign up for just 1 or 1 every month-it's your choice how many you do! *Times may be moved 1 hour earlier the week of the clinic. Classes fill quickly-small class sizes! Children under the age of 3 (or children who are not potty-trained) are required to wear re-usable swim pants with elastic waist and legs underneath their swimsuits. We do not offer makeup classes; if you miss a class due to illness, family emergency or pool closure, we will give you a one time credit per session. Come enjoy our 90° water! for exclusive updates and special offers! Learn to swim with Swimtastic!